A spacious hall with high quality wood effect flooring and stairs rising to the first floor. 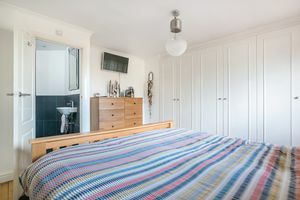 With a large storage cupboard, a wash hand basin and W.C.
A spacious and light room with a central fireplace and a large window to the front. A useful reception room with a window to the front, high quality wood effect flooring and double doors that open onto the family room. 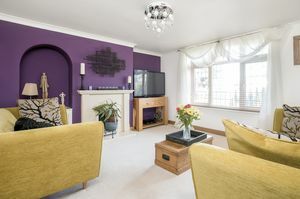 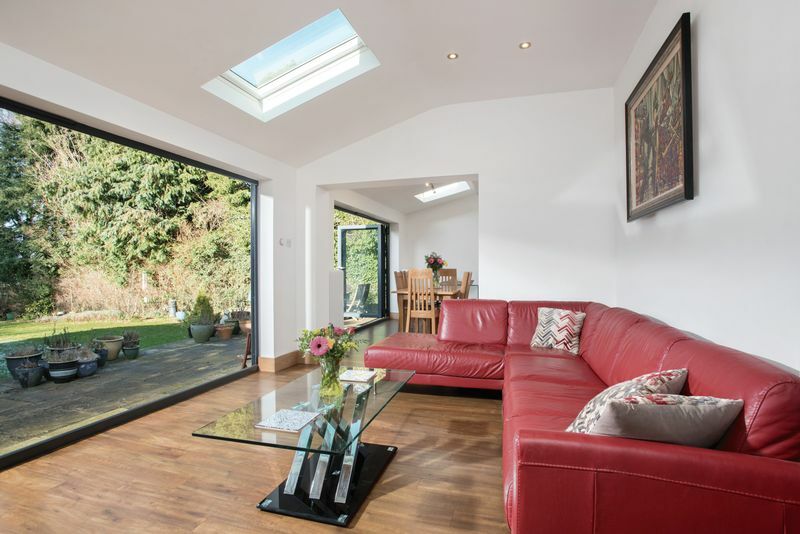 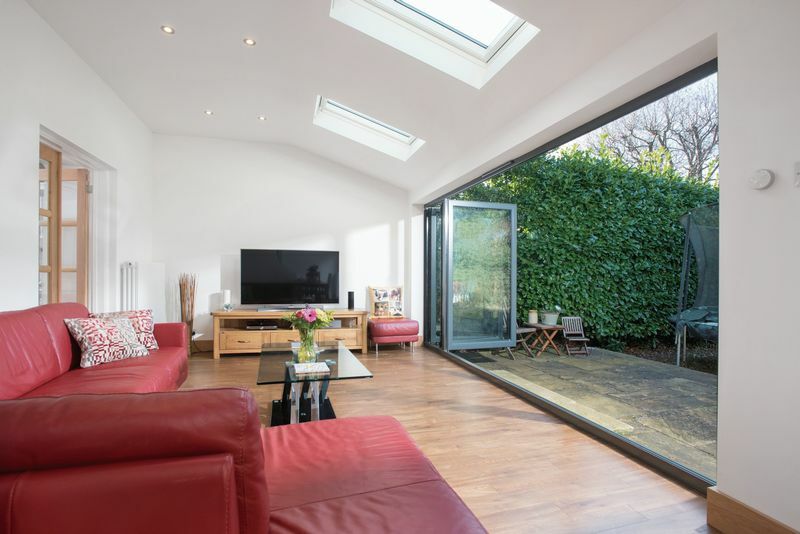 A superb open plan room which is ideal for modern family living. 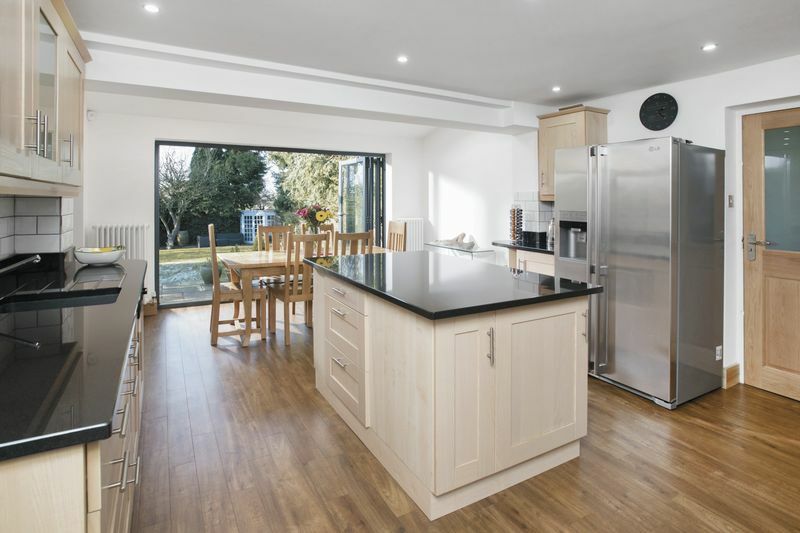 The kitchen/dining area is fitted with modern eye level cabinets and drawers with fitted granite worktops and an inset sink and drainer. 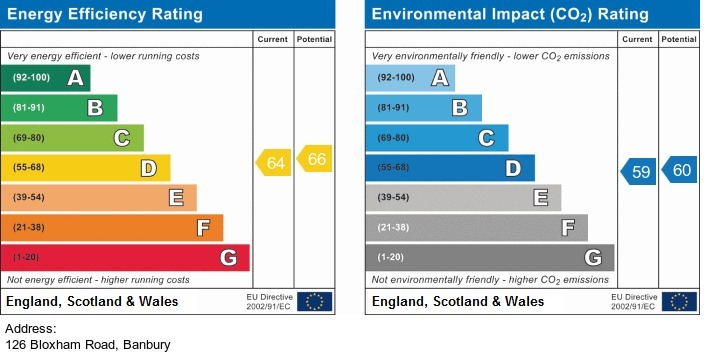 There is space for a range cooker with an extraction hood over, a central island unit/breakfast bar and space for an American style fridge/freezer. The dining area has ample space for a table and chairs and opens onto the family room which is a superb additional room. 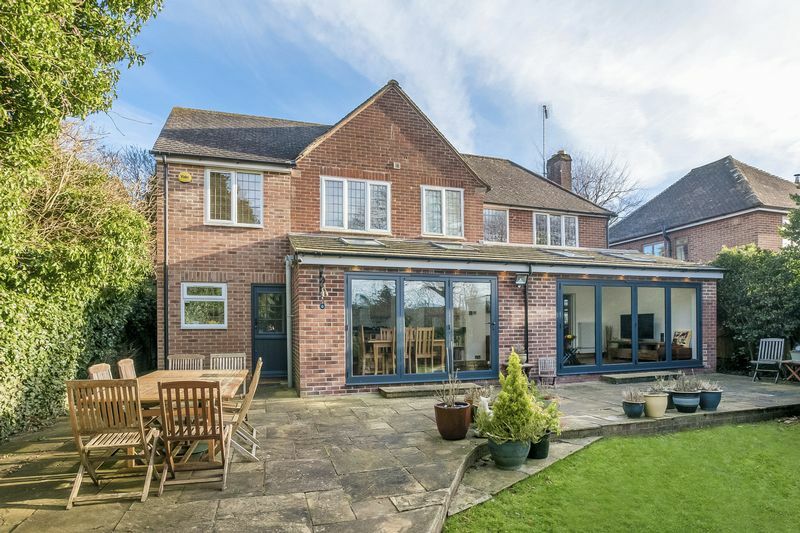 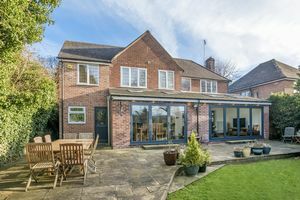 There are bi -folding doors that run across the dining area and family room opening onto the rear garden. Plumbing for a washing machine, space for a tumble dryer, wall mounted boiler, stable door to the rear and a door to the garage. 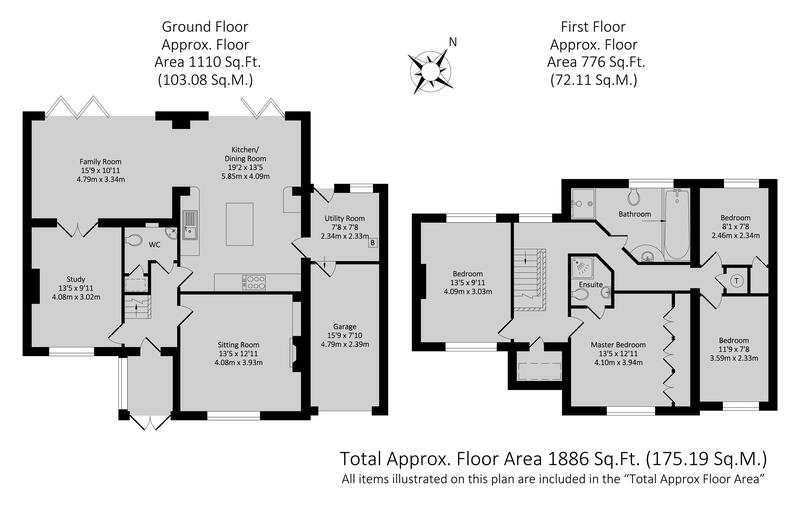 A large landing with an airing cupboard, a hatch to the loft space and doors to all first floor accommodation. 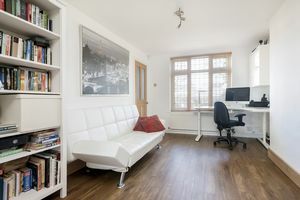 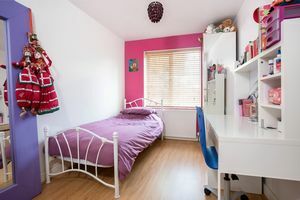 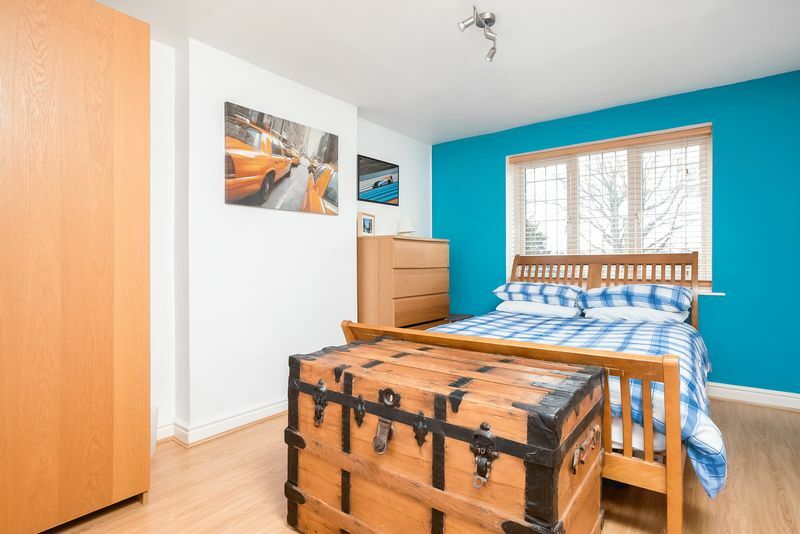 A large double bedroom with built in wardrobes, a window to the front and a high quality en-suite shower room. 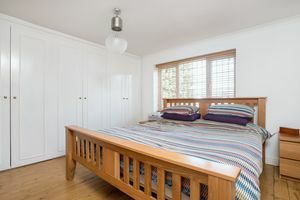 A large double room with a windows to the front and rear. A single room with a built in storage cupboard and a window to the rear. 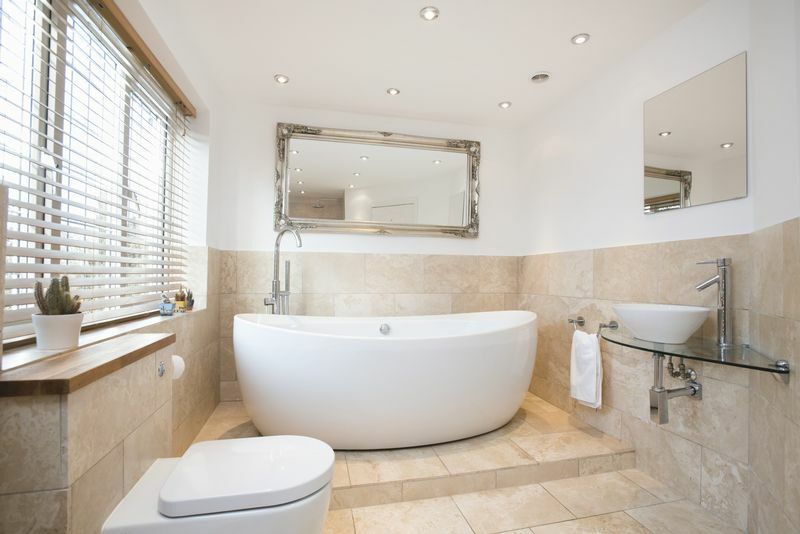 Beautifully fitted with a modern white suite comprising a freestanding oval bath, a wash hand basin and W.C. 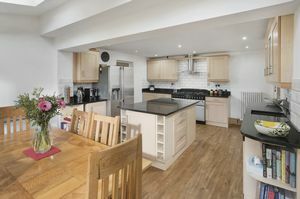 There is also a walk in shower/wet room area and attractive tiling to the floor and walls. 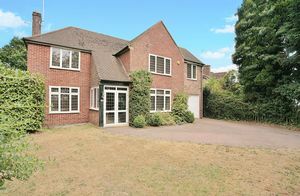 To the front there is a large garden and a block paved driveway with well stocked flower beds and gated access to the rear. 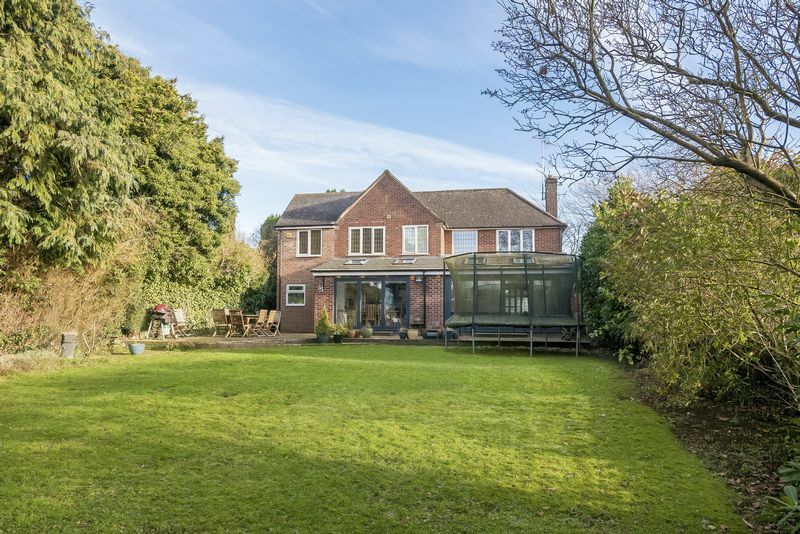 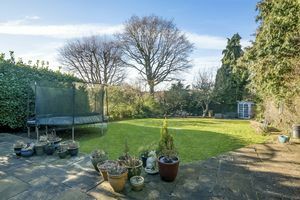 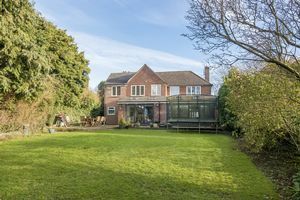 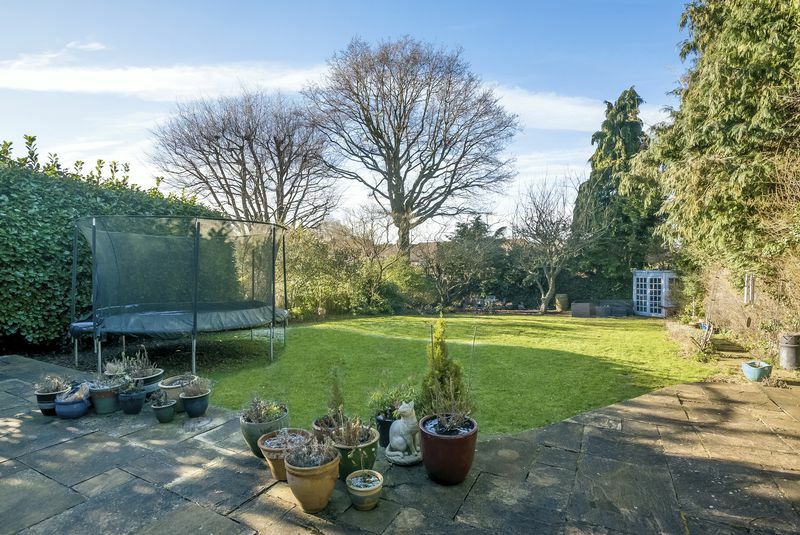 The main area of garden is located to the rear and is a particular feature to the property extending to approximately 80 feet in length and being very private. 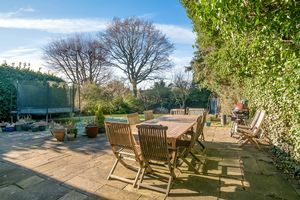 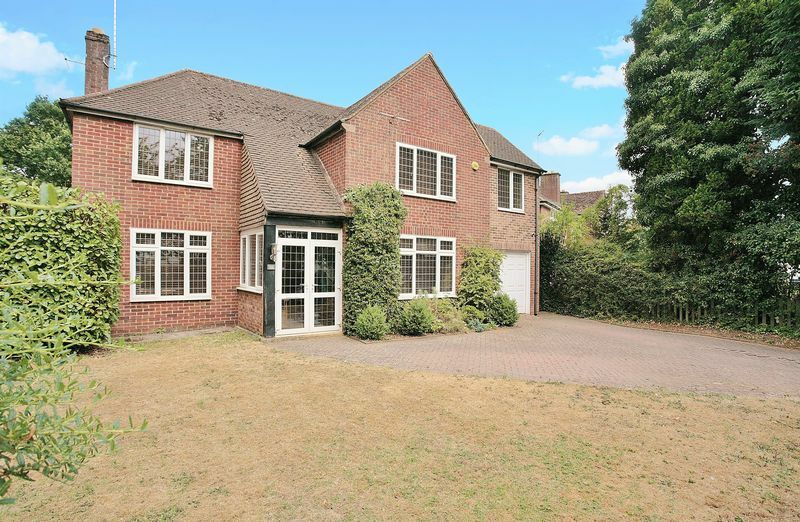 There is a large lawn with well stocked flower and plant borders and a paved patio adjoining the house which is ideal for dining or entertaining. 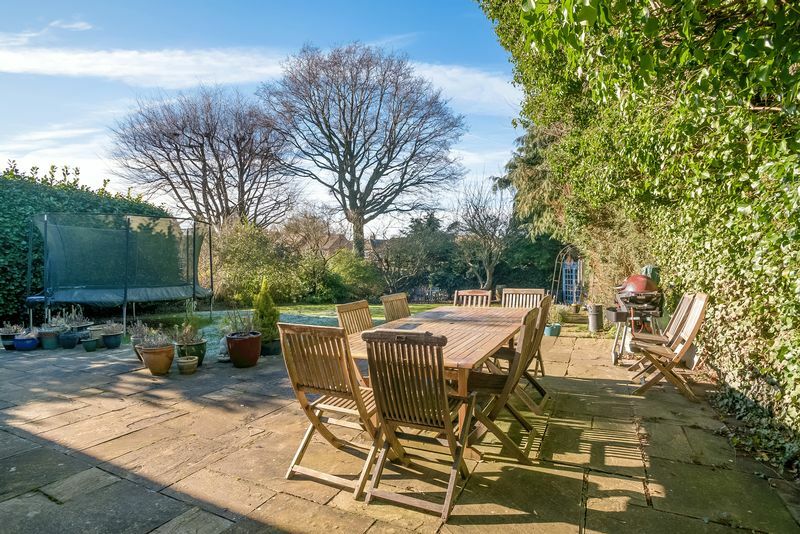 There is also an additional patio at the foot of the garden with a timber summer house which will remain. 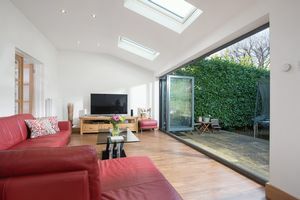 An integral garage located to the side with power and light connect, an up and over door to the front and a door to the utility.